The Fairfield University Art Museum was formerly known as the Bellarmine Museum of Art, which was founded in 2010. All past exhibitions, including those held at the Walsh Gallery (which was operated independently until 2013) are listed here. To access and download digital materials for exhibitions since 2010 go to the museum’s digital archive. First created nearly two millennia ago, Pueblo pottery is remarkable not only for its formal beauty but also for its cultural importance. 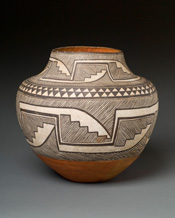 Centuries after the Anasazi (or ancestral Pueblo people) first began making potted vessels from coils of tempered earth - rubbed smooth and painted with local clays, minerals, and vegetal pigments - their successors continue to do the same. An ancestral whisper, this knowledge was (and is) passed down from artist to artist, generation after generation, ensuring the survival of both ancient pottery techniques and the cultures that birthed them. Herein lies the beauty of objects whose value is truly much more than skin deep: They embody their creators' heritage. ek•phra•sis.n.'ek-frə-səs\. 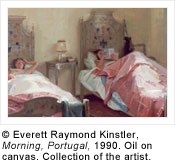 A literary description of or commentary on a visual work of art. Poet and prose writer Jeanne DeLarm-Neri has created a series of new poems that respond to works in the Bellarmine Museum of Art's Permanent Collection. From a delicate 14th-century French ivory diptych to casts after masterworks from the Acropolis frieze, DeLarm-Neri engages with a broad cross-section of objects in the museum. In each instance, her writings give voice to a very personal aesthetic experience, which in turn provides visitors to the BMA with a new point of departure for their own interpretations and musings. DeLarm-Neri's poems will be displayed in the galleries next to the objects they address. 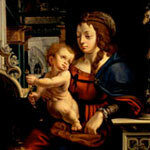 They will also be posted on the BMA's website together with images of the relevant works. New York-based ‌artist John Mendelsohn is best known for his remarkable work with color and pattern. This exhibition features 48 paintings from Passing, a cycle of paintings created by the artist during a 12-month period from 2010 to 2011. The cycle is comprised of five series of paintings -- titled Turbulence, Crosswalk, Vanishing, Flayed, and Paradise -- and while each series has its own character, each is also involved in states of change. The artist has written about these works that "Instability and dissolution appear in many forms; absence and presence are in continual dialogue. The paint itself is treated physically: combed, marbleized, wiped off, and scraped away. As the paintings break down, they open up, revealing the surface and space beyond." The entire Passing cycle may be viewed online here. 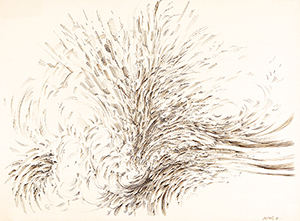 Mendelsohn's work in the Walsh Gallery will be complemented by seven more of his works, including a selection from the Six Movements series, which are on view in the lobby of the Quick Center for the Arts, adjacent to the gallery. Leonardo Cremonini was one of the preeminent Italian painters of the twentieth century. Widely admired, critically acclaimed, and technically accomplished, his works are to be found in the Museum of Modern Art in New York, the Hirschhorn Museum in Washington, D. C., the Musée d'Art Moderne, Centre Georges Pompidou in Paris, and numerous other public collections across Europe and the United States. 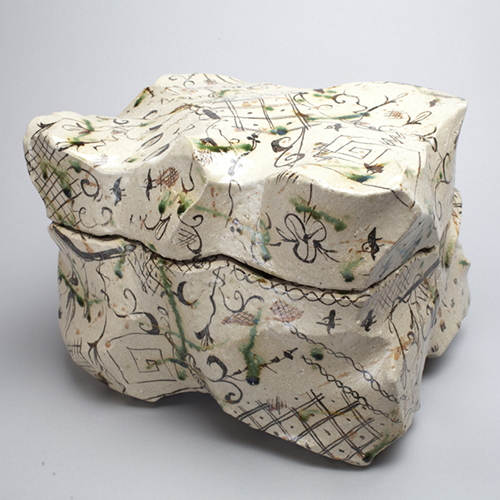 Ceramic art is an ancient, enduring and vibrant form of creative expression in Japanese culture-a medium created from the fusion of the elements earth, fire, and water. 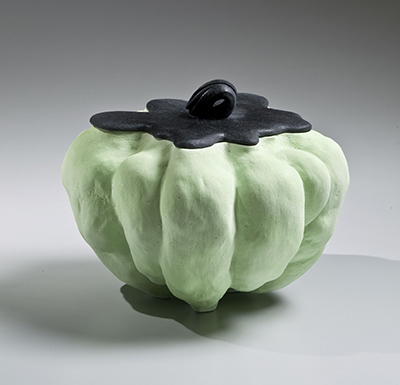 Contemporary ceramic artists in Japan are deeply mindful of the venerable forms and traditions underlying their craft, and their works frequently abound with historical references. At the same time, many of these artists boldly bend and stretch artistic conventions to incorporate new forms and ornamental language. Echoes of ceremonial vessels and implements co-exist beside fluid, organic and evocative shapes that push the medium to its most elastic possibilities. Edward Koren: The Capricious Line is a major survey of the work of the artist best known for his cartoons and cover illustrations for The New Yorker magazine.This exhibition explores the full range of art that Edward Koren has produced during the past five decades: original drawings for cartoons and illustrated books as well as prints and independent drawings, many of which have never been displayed before. The artist's "capricious line" consists primarily of short strokes that create remarkably descriptive and expressive images. Koren's work brings us into the realm of fantasy based firmly in reality, such contradiction being one source of its humor. 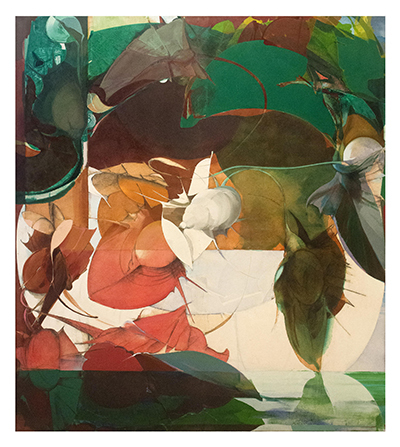 Remembered for her capacity to endow scenes from every day life with touches of "magic realism," painter Colleen Browning (1929-2003) is the focus of this monographic exhibition, mounted jointly with Fairfield University's Walsh Art Gallery. 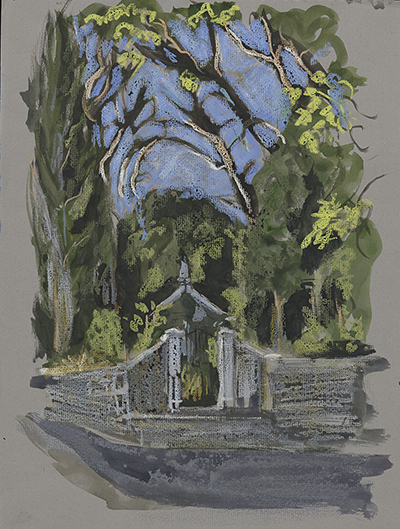 The Bellarmine Museum showcases Browning's early works on paper, together with several signature oils, while the Walsh displays some of her strongest post-1960s paintings. Hugely successful during his own lifetime, the Detroit-born artist Julius Garibaldi ("Gari") Melchers left behind an artistic legacy that is as varied as it is compelling. From engaging peasant scenes inspired by his years at the Egmonds, Holland (where he shared a studio with the great American painter George Hitchcock in the late 19th century) to intimate portraits of mothers and their children, Melchers' oeuvre is inflected with a dynamic range of influences, including the Barbizon School, Impressionism, and Symbolism. 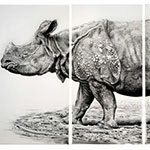 Rick Shaefer: Rendering Nature features the work of Connecticut-based artist Rick Shaefer, who is best known for his remarkable works in charcoal on vellum. Inspired directly by the textural richness of the natural world as well as the communicative power of "the line," Shaefer gravitates towards subjects that are as visually compelling as they are intellectually engaging. ek•phra•sis. n.'ek-frə-səs\. A literary description of or commentary on a visual work of art. Holding the ancient technique of responding through the written word to visual works of art ("ekphrasis") at its core, this show provides an exciting platform for graduate students in Fairfield University's MFA in Creative Writing program. This year Sarah Sleeper (MFA '12) responds in prose to four works by Everett Raymond Kinstler, four works on loan from the Metropolitan Museum of Art and one piece in the museum's permanent collection. 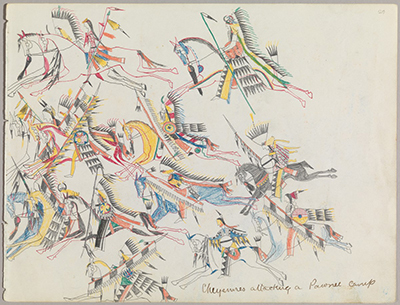 In the second half of the nineteenth century, artists from the Plains Indian peoples (Lakota, Cheyenne, Arapaho and others dwelling in the Western United States and Canada) produced an extraordinarily rich and distinctive body of drawings chronicling battles, rituals, and winsome if sometimes jarring events of everyday life. Known as Ledger Drawings because they were done on the pages of commercially produced account books, these striking images, many bearing pictographic signatures, are executed in ink, graphite, and colored pencil and watercolor. Some favor flat, stylized forms and a stark economy of means, while others show a lyrical predilection for rhythmic movement, minute descriptive and narrative detail, and dense, mosaic-like surface patterns. What all share is their makers' acute powers of observation and ambition to record and describe recognizable people, places, things and events-to eloquently picture and record history as it transpired. As a mature artist, the great American expatriate James Abbott McNeill Whistler (1834-1903) began using a stylized butterfly in place of a signature to maximize his work's aesthetic qualities. Whistler's concern with an immersive visual experience is highlighted in this focus show, which features works on paper from his Venetian series together with related images by Frank Duveneck (1848-1919), Otto Henry Bacher (1856-1909), Mortimer Luddington Menpes (1855-1938), Joseph Pennell (1860-1926), and Clifford Isaac Addams (1876-1942). Reflections & Undercurrents features prints by the German-born American painter and etcher Ernest Roth (1879-1964) and his contemporaries, including John Taylor Arms (1887-1953) and Joseph Pennell (1860-1926), exploring the connections between the art they made in early 20th-century Venice. In the late Renaissance and Baroque periods in Europe, discerning burghers and aristocrats assembled encyclopedic collections of fine art objects, creating unique kunstkammern, or Cabinets of Arts. Arnold and Seena Davis have followed in this rich tradition, acquiring unique and beautiful works with a discerning eye and a curious intellect. This exhibition of works on loan from the Dahesh Museum of Art celebrates the act of drawing in the 19th century, when the creation of preliminary works on paper was the cornerstone of proper academic training and art-making. Embracing a broad range of subjects, the stunning pieces in this show are united by their creators' emphases on careful draftsmanship and extraordinary skills. Highlights include drawings by Thomas Couture (French, 1815-1879), Rosa Bonheur (French, 1822-1899), Frederic Lord Leighton (English, 1830-1896), Lawrence Alma-Tadema (British (born in the Netherlands), 1836-1912), and Alexandre Cabanel (French, 1823-1889). Fascinated by the destabilization of perception, Jason Peters creates illusory spaces and alternative realities through his work. Intentionally designed to trigger a cathartic sense of the sublime in his viewers, the artist amasses vast quantities of discarded objects from everyday life that he then reconfigures in surprisingly unexpected ways. Not Ready to Make Nice, a major presentation of the Guerrilla Girls, illuminates and contextualizes the important historical and ongoing work of these highly original, provocative, and influential artists who champion feminism and social change. The Guerrilla Girls have been powerfully and consistently active since first breaking onto the art scene in 1985. For more than five millennia, visual artists have been drawn to dance as a subject for their art-making. The ancient Egyptians, Greeks, and Romans all immortalized dancers - and their dances - in a range of media, including murals, vase decorations, cameos, and coins. 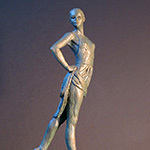 Christian art, too, exhibited a marked fascination with the Bible's most infamous dancer, Salome, whose mesmerizing movements induced Herod to decapitate John the Baptist at her request. 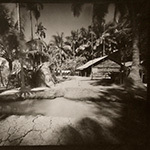 Over a four-year period beginning in 1995, photographer Craig J. Barber, ex-combat Marine, returned to Vietnam to traverse many of his former military routes, making images with an 8x10-inch pinhole camera. In part a cathartic exercise, and a need to satisfy his curiosity about what had become of this once war-torn country, Barber created a series of 46 diptych and triptych panorama platinum images that capture the serene beauty of the country and, at times for him, the all-too-memorable landscapes. The tonality of the platinum process produces images with stunningly rich blacks and a full spectrum of delicately nuanced shades of gray. For the ancient Chinese, life in the afterworld was as important as one's existence on earth. For this reason the dead were laid to rest in tombs intended to replicate earthly palaces in all their splendor. They were also adequately provisioned by surviving family members with mingqi, or "spirit articles," for the deceased's journey into the afterlife. 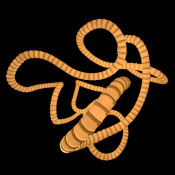 [T]he city did not grow, as the economists taught, by quasi-natural laws, but was a willed artifact, a human construct in which many conscious and unconscious factors played their part ... [t]he principal document and witness to this process [is] the physical fabric of the city. As the eminent architectural historian Joseph Rykwert so eloquently reminds us in his The Seduction of Place: The History and Future of the City (2002), cities are wholly man-made constructs. Painter Everett Raymond Kinstler (b. 1926) sees the world in hues. Unfettered by conventional color designations, Kinstler paints his subjects as he perceives them, rather than as he knows them to be. His shadows, then, are neither brown nor black but instead pulse in shades of indigo and violet, while the artist's highlights dance unabashedly up and down the chromatic spectrum, from dusky peach to the palest of blues. La Ragnatela (or "spider web") refers to the characteristically long, thin, lines and complex patterns of filigrana vases. 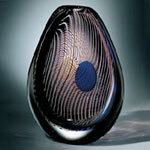 A glass-making technique that was invented in 1527, filigrana consists of preparing parallel glass canes that are then melted into a mass of incandescent glass, creating perfect geometrical shapes in net and spiral-lie patterns. 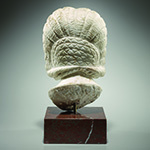 Over the span of his fifty year career as a graphic artist, Norman Gorbaty has produced a formidable body of work, including sculptures, paintings, and works on paper. A master of abstract empiricism, the artist's work is a testament to his pursuit of pure forms through observation and movement. Using emptiness as a symbol and minimalism as a style, Gorbaty transforms spaces into an evocative blend of mystery, freshness, and beauty. Works in Dialogue will run in tandem with Gorbaty's show of Judaica at the Thomas J. Walsh Gallery (To Honor My People), and will highlight the artist's smaller works on paper and his carved "stele." Italian artists Tania Brassesco (b. 1986) and Lazlo Passi Norberto (b. 1984) met as students in Venice in 2008. They have collaborated on several series of photographs that fuse their experience in performance, painting, set design, installation, photography and video. "The Essence of Decadence" is their first project together. The seven photographs, in which Tania appears as the model and artistic muse, reprise with uncanny fidelity the moody, poetic compositions of Gustav Klimt and other fin-de-siècle painters. Using the elastic, expressive and contemporary medium of photography, the artists painstakingly translate and reproduce with an almost surreal, magical verisimilitude the language of painting from another epoch. The result is a series of images that are hyper-real artistic fiction. This intriguing paradox is the essence of Tania and Lazlo's work. 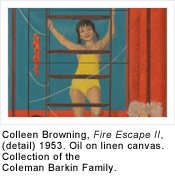 This exhibition is organized by the Bellarmine Museum of Art and presented in celebration of the 25th anniversary of the Quick Center for the Arts of Fairfield University. This exhibition highlights the University's facsimile of the Book of Kells, and four reproductions of Irish medieval metalwork on loan from the Metropolitan Museum of Art's Department of Medieval Art and The Cloisters. The Book of Kells is a lavishly decorated Irish gospel book, which contains colorful decorations on each calligraphic page, including several full page illustrations. H. A. Sigg was born in Switzerland in 1924 and studied in Zurich and later Paris, where he was especially captivated by the art of French Nabi painter Pierre Bonnard. 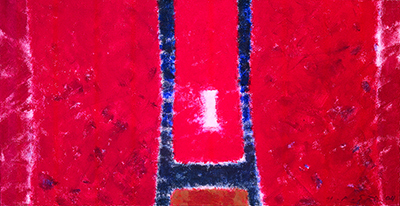 Although his paintings of the 1950s adhere to a figurative idiom, he evolved a purely abstract style, whose graceful, atmospheric and minimalist forms and motifs were inflected by aerial views of Southeast Asia, a vantage point he was afforded in 1968 when he was invited by Swissair to fly as "artist in residence in the sky. "; From his privileged, sweeping view from the cockpit, he made sketches of the distant topography below. These became the inspiration and the source of the lithe and geometric abstractions suggestive of terraced fields and gently meandering rivers that characterize his work beginning in the 1970s. 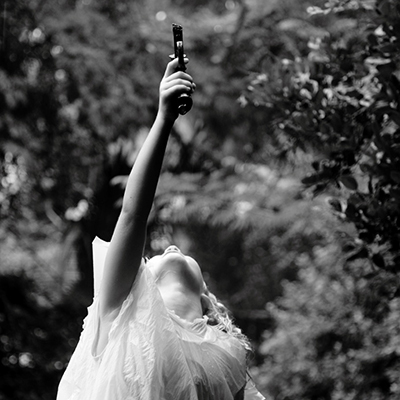 The Fairfield University Art Museum, in partnership with # UNLOAD and the Guns In The Hands of Artists Foundation, is proud to announce the opening of the exhibition, # UNLOAD : Guns in the Hands of Artists. Each piece in the exhibition was created using decommissioned guns, taken off the streets of New Orleans via a gun buyback program and distributed to internationally-known artists. Painters, glass artists, sculptors, photographers, poets, and other artists used the decommissioned firearms to create works of art that address the complex issue of guns and gun violence. The exhibition originated in mid-1990s New Orleans, where a spiking murder rate led artist Brian Borrello to conceive of the first iteration of Guns in the Hands of Artists exhibition by bringing the discussion over the role of guns and gun violence in our society into the realm of art -- art as the language for dialogue and possibly change without the often partisan and polarized politics that surround the issue. Borrello and gallery owner Jonathan Ferrara mounted this exhibition at Positive Space The Gallery in September 1996 in the Lower Garden District of New Orleans. In 2014, Ferrara reorganized the exhibition to feature work by internationally recognized artists. Through their own medium, each artist has used the decommissioned firearms to create works that express a thought, make a statement, open a discussion, and stimulate thinking about guns in our culture. 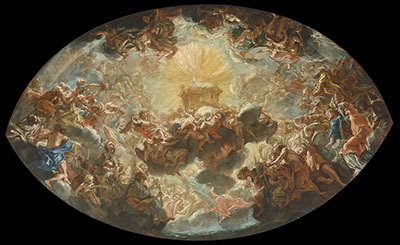 This major international loan exhibition will bring together for the first time an important group of dazzling and historically important works of art to tell the twin stories of the rise of the Society of Jesus in Rome and the building and embellishment of the Gesù, its glorious mother church, in the very center of the city. Masterpieces on view include art from the Gesù itself (never before lent to America), the most spectacular being the great Baroque sculptor Gian Lorenzo Bernini’s marble bust of Jesuit theologian and cardinal Roberto Bellarmino, and paintings, drawings, sculpture and prints from numerous museums and private collections in America. For Anthony Riccio (b. 1952), a picture truly is worth a thousand words. 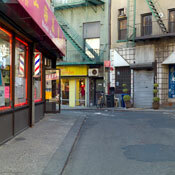 For the past four decades, the New Haven, Connecticut, native has documented, in word and image, the experiences of Italians and Italian-Americans not only in Southern Italy - from Campania to Sicily - but also in two culturally rich immigrant communities in America, Boston's North End and New Haven's "Little Italy." History, mythology, poetry, and portraiture provided a vast range of subject matter for French artists of the 17th, 18th and early 19th centuries. 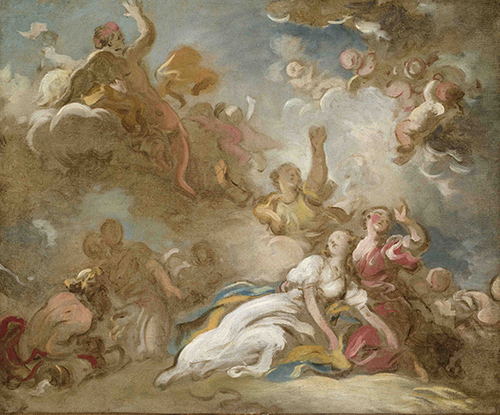 Drawn from the peerless holdings of The Horvitz Collection—one of the world’s most comprehensive collections of early modern French art—this exhibition features paintings and drawings in all these genres by such celebrated artists as Charles Le Brun, Nicolas de Largillière, Jean-Honoré Fragonard, Jean-Baptiste Oudry and Anne-Louis Girodet de Roucy Trioson. The impressive selection of over 50 drawings, some exhibited with related prints, focuses on a particular category—designs for book illustration—thereby highlighting not only the creative inventiveness of the artists who formulated lavish visual imagery from the written word, but also the rich literary traditions of France and the vibrant book publishing industry they spawned. 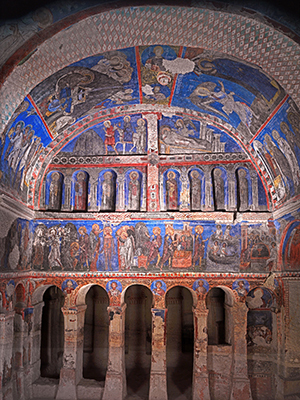 The splendor of Byzantine sacred art is preserved in the interiors of millennium-old churches in Constantinople (modern-day Istanbul)--capital of the Byzantine Empire--and the Cappadocia region of Turkey, the latter abandoned in the fifteenth century but still preserved today. Vaults of Heaven: Visions of Byzantium features eight large-scale images by acclaimed Turkish photographer Ahmet Ertug that capture the expressive power and timeless majesty of some of these imposing monuments: the Karankik Kilise (Dark Church), the New Church of Tokali (Buckle Church), the Meryem Ana Kilisesi (Church of the Mother of God), and Saint Saviour. These photographs offer sweeping views of the shadowy, evocative interiors as well as close-up details of the wall paintings showing hagiographic subjects and scenes of the life of Christ. A mizusashi is a utensil used in the Japanese tea ceremony, a tradition with medieval origins that is still widely practiced today. In a tea gathering, a host prepares bowls of tea by whisking together powdered green tea and hot water drawn from a kettle. The mizusashi, typically an earthenware or stoneware jar, holds the water used to replenish the kettle and rinse the bowls. The first utensil to enter the room and the last to leave, the mizusashi is a locational and aesthetic anchor for the gathering and can take a wide variety of shapes, sizes, and appearances. This selection of 20th- and 21st-century mizusashi highlights two important trends-the perpetuation of longstanding tea traditions alongside the artistry and technical excellence that define modern Japanese ceramics. The exhibition presents new works on paper by renowned South African artist William Kentridge (b. 1955), inspired during the writing of his Norton Lectures, which he delivered at Harvard University in 2012. 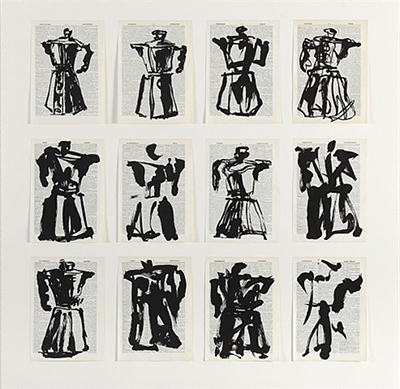 In more than 75 linocut prints based on ink sketches and printed on dictionary and encyclopedia pages, Kentridge revisits a familiar personal iconography, including coffee pots, typewriters, cats, trees, nudes and other imagery, exploring a thematic repertoire that has appeared in art and stage productions throughout his long career. The prints, which shift from identifiable subject matter to deconstructed images of abstract marks, form juxtapositions with the underlying text that suggest skepticism about the creative process and knowledge construction. 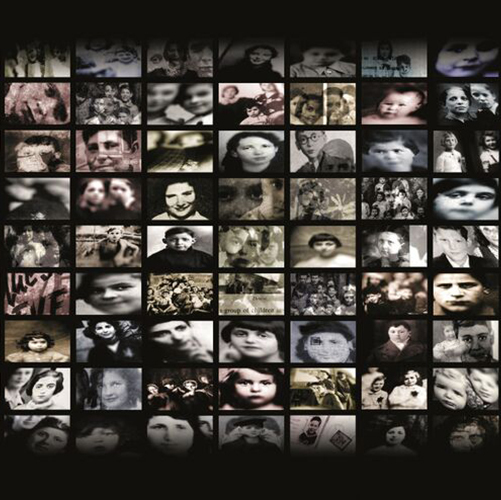 During World War II, over 11,000 Jewish children were deported from France to Nazi death camps. These children were among more than 75,000 French Jews deported under the Nazi plan for the “Final Solution to the Jewish question.” Of those French Jews transported, only 2,564 survived the Shoah. At most 300 of these Jewish children survived. Ghosts: French Holocaust Children is an installation of sculptural and photographic work by Robert Hirsch and Hirsch Projects. This three-dimensional installation acts as an ethereal commemoration to these children’s abbreviated lives. The project was created based on documents and photographs collected by author, lawyer, and Nazi-hunter Serge Klarsfeld that have been reinterpreted and presented in the form of three 1/5-scale boxcars containing over 600 expressionistic portraits of these deported children, plus a series of mural-sized individual portraits. In his professional life as one of the world's foremost paintings conservators, Michael Gallagher has worked on masterpieces by such luminaries of European art as Botticelli, Michelangelo, Poussin, Rubens and Velázquez. Calling on specialized knowledge of materials and techniques used by painters at different moments in history, his sensitive interventions have helped recover the artists' intentions, revealing luminous surfaces and lost details of panel paintings and canvases that had been compromised by damage and obscured by later overpaint and darkened varnish. In his private moments Gallagher has long sketched and painted landscapes--poetic, evocative and light-dappled scenes of rolling hills, sparkling seasides, rocky outcroppings and moody forests. Done in vastly diverging locales in different continents and hemispheres, at different times of day, and in all four seasons, his plein air watercolors and oil sketches capture a nuanced sense of place, at once changing and immutable, undisturbed by human presence. Discretely observed and inflected by a reticent silence, these ruminations on the landscape in its myriad manifestations form a journal of visual responses, chronicled over time. This exhibition will explore the Manhattan subjects of National Academician Adolf Dehn (1895-1968). Visiting, and then living in New York City, Dehn captured the essence of the city in his paintings, prints and drawings of the landscapes of Central Park, and of the city's burlesque and night club scenes. While best known as a lithographer and one of the founding members of the American Artists Group, Dehn played a significant role in America's contemporary realist movement starting in the 1930s. He was included in every Whitney Museum of American Art "Annual" and "Biennial" invitational exhibition from the first biennial 1932 into the early 1960's, and still holds the record for being in more of these prestigious shows than any other artist. 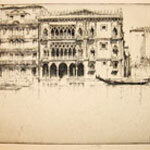 His work is in the permanent collections of more than eighty museums. 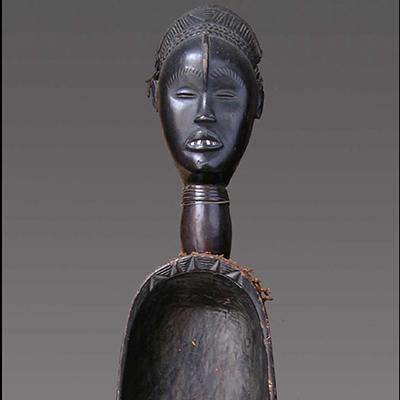 Many important collections of West African art trace their origins to the state of Connecticut. This exhibition highlights objects acquired in the early 1930s by Connecticut artist Alfred James Tulk of Stamford. Born in London in 1899, Alfred Tulk studied art at Oberlin Art College and then Yale University, from where he earned his BA in 1923. Tulk is best known for his public mural paintings, stained glass windows, and mosaics, many of which he completed during his tenure at the Rambusch Decorating Company in New York City. Between 1925 and 1954, he painted over 300 large murals for theatres, churches, hotels, restaurants, and private homes in the United States. In 1931, Alfred Tulk and his wife, Ethel Tulk, traveled from their home in Connecticut to rural Liberia, where they spent one year living and working in Ganta at the American Methodist mission station established there in 1926 by Tulk's close friend, medical missionary Dr. George W. Harley. While in Liberia, Tulk assembled a small but important collection of masks, statues, and other objects of daily use and material culture a number of which have been re-assembled for this exhibition. He also created a portfolio of portrait drawings and oil paintings which he created in situ of local subjects from the region around Ganta. The exhibition will include several of Tulk's own artworks, as well as some of his field photographs, his map of Liberia, selected correspondence, and a copy of his original handwritten field diary. 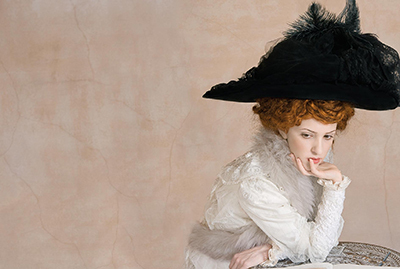 In most cultures hair is not worn in its natural state; it is artfully styled or dressed. Cut, combed, colored, curled, and shaped hair -- that most universal of physical features -- is also frequently adorned with implements or braids and occasionally, further embellished with pins, beads, and other decorations. 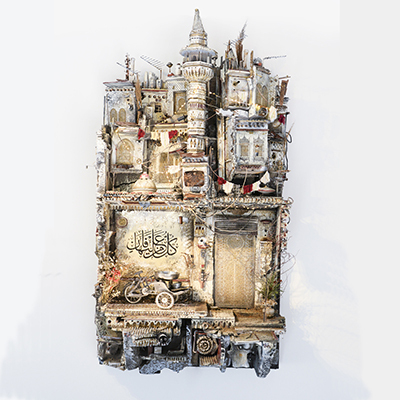 Born in Damascus, raised in Saudi Arabia, and educated in the Midwestern U.S., artist and architect Mohamad Hafez explores the impact of the political turmoil of the Middle East through hyper-realistic streetscapes crafted from found objects, paint, and scrap metal. Architectural in appearance yet politically charged in content, his miniaturized tableaus are alternately nostalgic, charming, and deeply painful. Mohamad Hafez: Collateral Damage features a selection of work across multiple projects, including the site-specific installation Sea Garbage, as well as pieces from his Baggage series, in which the artist creates tableaus suggestive of the experience of refugees – many of whom are forced to flee their homes at short notice, or with only as much as they can carry – and places them inside vintage suitcases. This exhibition also features selected works by two contemporary Syrian artists, photographer and digital artist Hala el-Abed and filmmaker Waref abu Quba, which explore themes of violence and loss centered around the Syrian refugee crisis. Image: Mohamad Hafez, Hiraeth, 2017. Plaster, paint, rusted metal, found objects, rigid foam. 60 x 32 x 17 inches. © Mohamad Hafez. 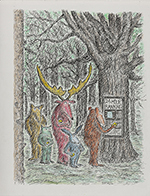 Artist, writer, and activist James Prosek made his authorial debut at age nineteen, when he was still an undergraduate at Yale University, with Trout: an Illustrated History (Alfred A. Knopf, 1996). 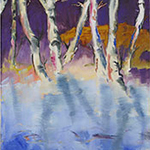 Connecticut artist Jan Dilenschneider finds much of her inspiration in the wondrous variegation of nature. 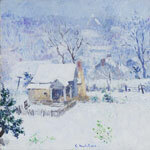 Influences from Impressionism and Expressionism echo in her rich palette, loose brush strokes, and luminous vistas, while her affinity for landscape and the atmospheric effects of light and color link her to the venerable local tradition of landscape painting exemplified by the Cos Cob School that ‌flourished a century ago. "I am greatly influenced by living on Long Island Sound, where many subjects lie within a mile of my home and studio," Dilenschneider has mused, "beautiful old trees, crystal blue water, elegant grasses, birds and great storms. I see a painting in everything: spring green leaves against bright blue skies, or misty trees that fade to blue-gray. The beauty of the world is my inspiration." 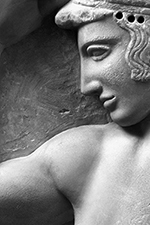 This exhibition highlighted photographs by Socratis Mavrommatis, a prominent Greek photographer who gifted 23 works to the university in 2008, and 8 new plaster casts, given by the Acropolis Museum in Athens to Fairfield in July 2010. Mavrommatis's work focuses on the Acropolis, with an emphasis on the beauty and changing nature of monuments and the Athenian landscape. The plaster casts, in contrast, are evidence of the grandeur and monumentality of the Parthenon and other Acropolis sculptures, and remain symbols of the art and mythology of Ancient Greece. This show also explored Athenian "gifts" in the broader sense - that is, of antiquity's enduring legacy in the development and evolution of Western civilization's multi-faceted culture. This exhibition presents drawings and sculptures by internationally renowned artist Don Gummer. 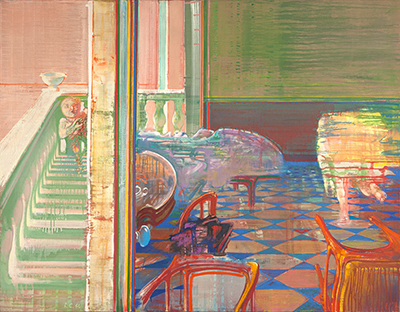 Gummer's richly layered, cerebrally composed drawings incorporate color, encaustic (an ancient technique in which pigment is suspended in wax) and collage. Reiterating many of the forms and motifs articulated in his reliefs and his free-standing sculptures, they function both as fluid heralds and intermediaries, and as autonomous creations. Informing Gummer's drawings and sculpture alike is an innate and immutable sensibility for structure. In the disciplined architecture that undergirds the construction of forms, Gummer achieves a paradoxical synthesis of stasis and flow--an elastic armature capable at once of containing and expressing emotion. The Fairfield University Art Museum is pleased to present the inaugural exhibition of a monumental new series by Connecticut artist Rick Shaefer created in response to the ongoing refugee crisis convulsing the globe. This three-piece suite is comprised of Land Crossing, dealing with the migration across foreign lands; Water Crossing, addressing the perilous journeys of refugees who take to the open seas; and Border Crossing, spotlighting the hostilities refugees face in seeking safe haven far from a violence-torn homeland. The trilogy employs the artistic lexicon of old master painting (specifically incorporating heroic figurative elements from works by Rubens and Géricault) to explore this contemporary crisis in a language both familiar and iconic. Such historical allusions underscore the tenacious persistence of this epic human tragedy throughout time, past and present. 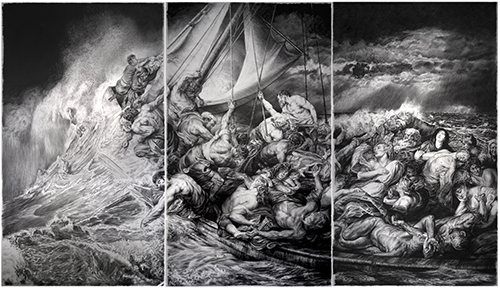 In addition to the three triptychs, each executed in charcoal on vellum, the exhibition will include a number of Shaefer's preparatory drawings for the series. Richard Lytle (American, b. 1935) has been exhibiting his work internationally since the mid-1950s. He attended the Cooper Union, then graduated from Yale University with a BFA in 1957 and from Yale College of Art with an MFA in 1960. 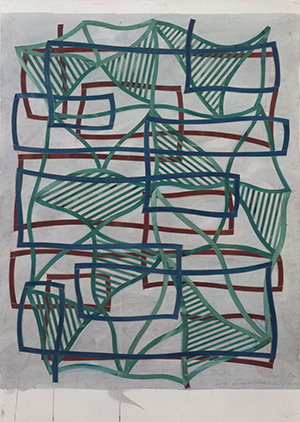 While still in graduate school, he was selected for Dorothy Miller’s seminal 1959 “Sixteen Americans” at the Museum of Modern Art in New York. He was in auspicious company, as this exhibition introduced the museum-going world to Jasper Johns, Frank Stella, Robert Rauschenberg, Louise Nevelson and Ellsworth Kelly among others.